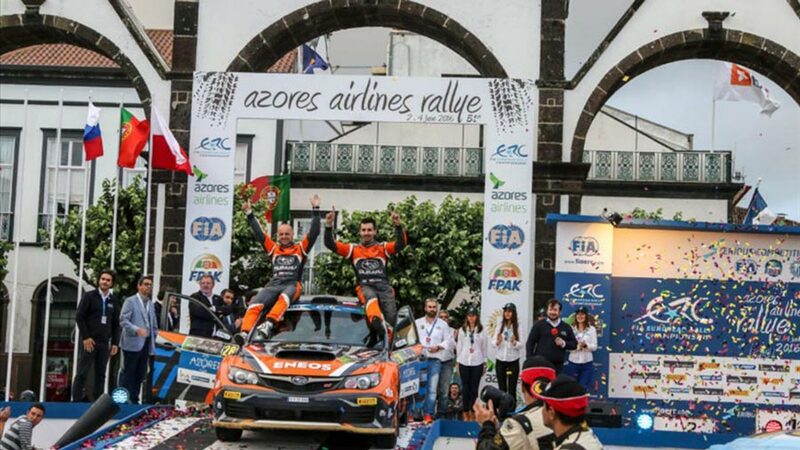 Wojciech Chuchała has said he will remember his ERC2 victory on the Azores Airlines Rallye “for a long time”, having continued the “dream start” to his 2016 campaign. A puncture on the second run over the famous Sete Cidades volcano stage left the Subaru Poland Rally Team driver over a minute down on local driver Ruben Rodrigues going into the final day, but he produced a superb fightback to overturn that deficit and secure a fourth category win from as many starts. Having built an 84-point lead in the ERC2 standings, Chuchała will now take a break and resume his planned seven-event programme on home ground on Rally Rzeszow on 4-6 August. Previous articleChina’s HNA Group is to acquire 20% of TAP Portugal.